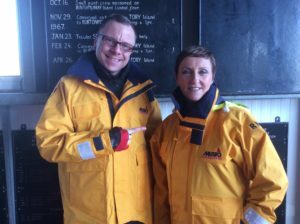 Majella met with the crew on Tuesday 20th February at the station where she was warmly welcomed with tea and biscuits. Majella, who has a house on Owey island often pilots her own boat when visiting the island and was always aware of the role of the lifeboats in saving lives at sea. The station has also signed up three new crew members: a man from Poland, a round the world sailor and a young girl doing her leaving certificate. 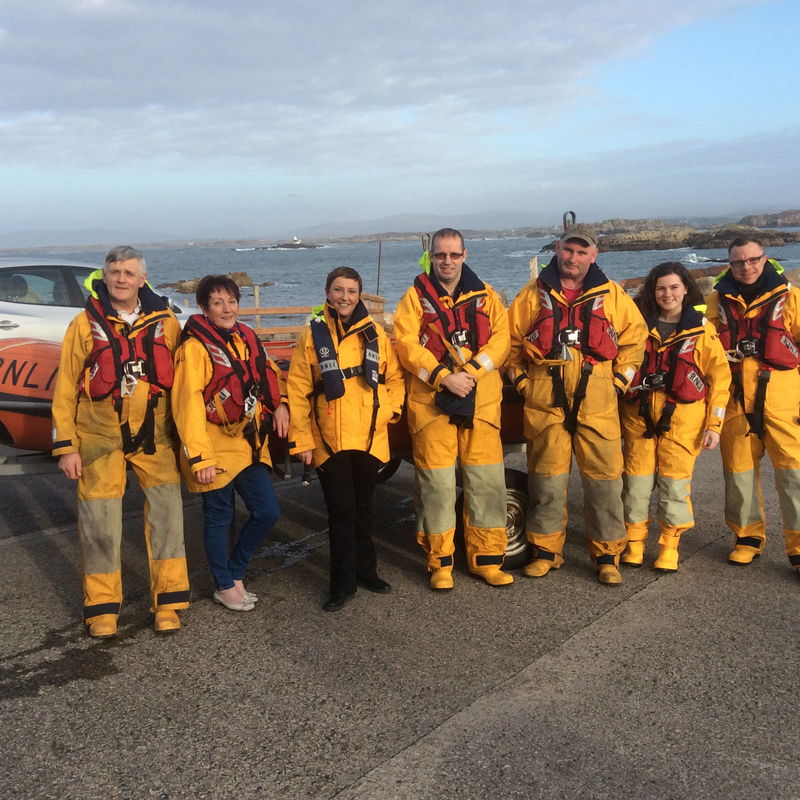 Experienced sailor and mother of four boys, Sharon O’Donnell felt privileged to be asked to join the Lifeboat crew seven months ago. Sharon’s experience with boats started at a young age when she fished with her father on his trawler and continued when she joined the crew of the yacht “Derry-Londonderry-Doire “in the Clipper round the world yacht race. 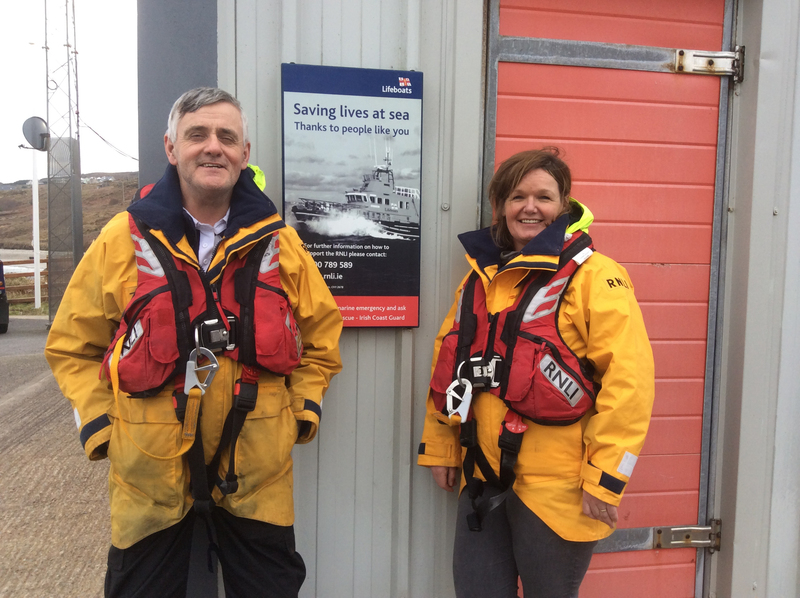 Sharon joined the crew of the yacht in China, sailed the Pacific to America and back to Derry via the Netherlands and London, a journey which lasted four months. Sharon said her training on the yacht was slightly different. “ all of the crew had to undergo training to sail on the yacht but the lifeboat serves a different purpose and this is reflected in the training. All crew members of the lifeboat serve an apprenticeship and have to undergo competence based training, we are trained in various skills to help each crew member save lives and have to prove our competence in each skill prior to continuing with the next one.” I’m really enjoying working with the lifeboat and learning new, challenging skills. “. 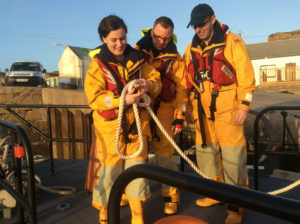 Erin Mc Cafferty, at 18, the youngest crew of the Arranmore Lifeboat is currently studying for her leaving certificate at Gairmscoil Mhic Diarmada on the island, also became a crew member of the lifeboat six months ago and is halfway through her apprenticeship on the Lifeboat. 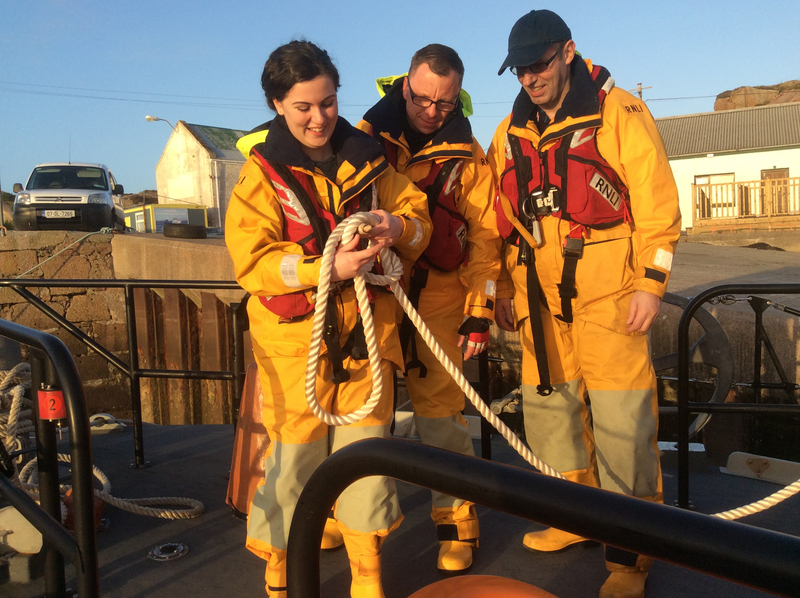 Erin follows the Arranmore tradition of families serving on the lifeboat as her father and greatgrandfather both served on the lifeboat. 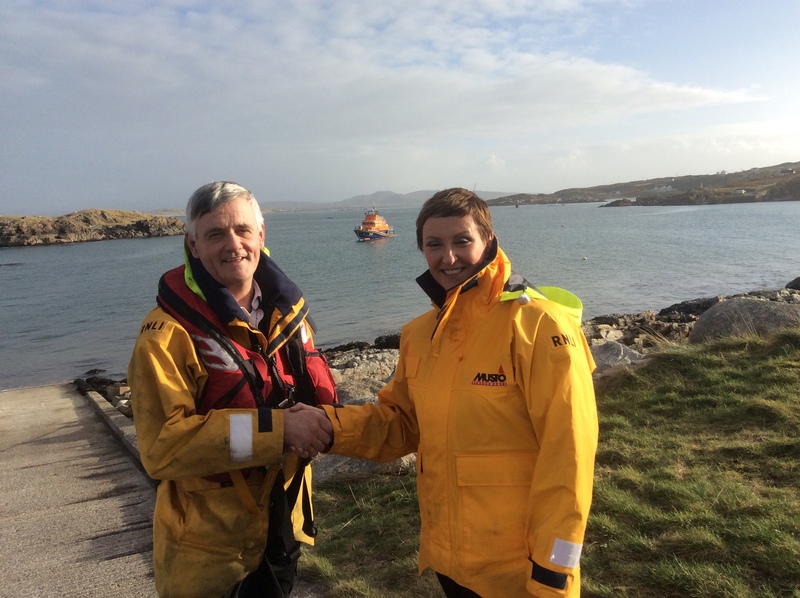 Erin’s father, John, has been a crew member for 10 years and her greatgrandfather served on the lifeboat in the 1920s. 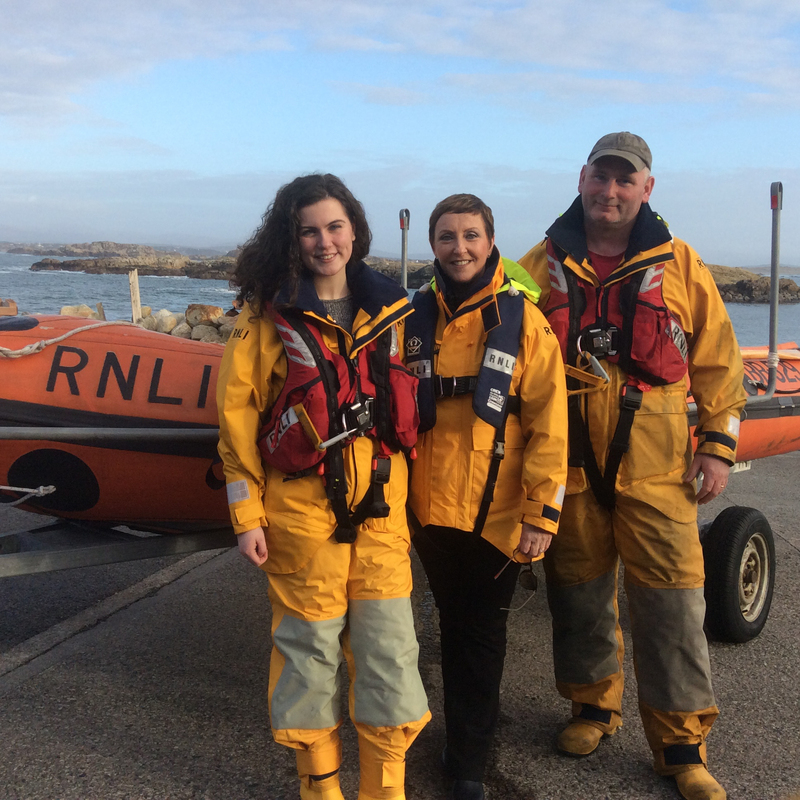 Erin hopes to study marine science in NUIG following her leaving certificate results and said that her time spent on the lifeboat has convinced her that this is the direction which she wants to take. She is particularly concerned about the amount of plastic pollution in all the oceans that is having an adverse affect on marine life.